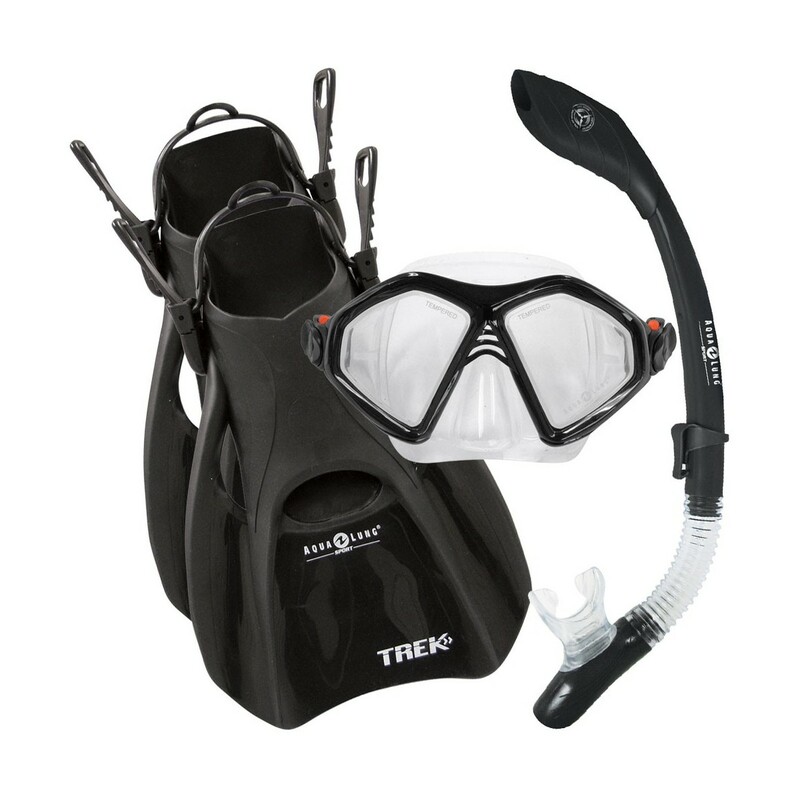 This snorkeling gear package, from leading diving company Aqua Lung, features everything you need to get started, including the Admiral LX mask, Island Dry LX Snorkel, Trek fin, and a convenient carrying and storage bag, Slip on the Aqua Lung Sport Trek Travel Fin for al of your water sports activities. This fin is specifically designed to perform superbly over a wide range of water activities. The energy efficient vented fin blades are great for body surfing, body boarding, snorkeling, and swimming. 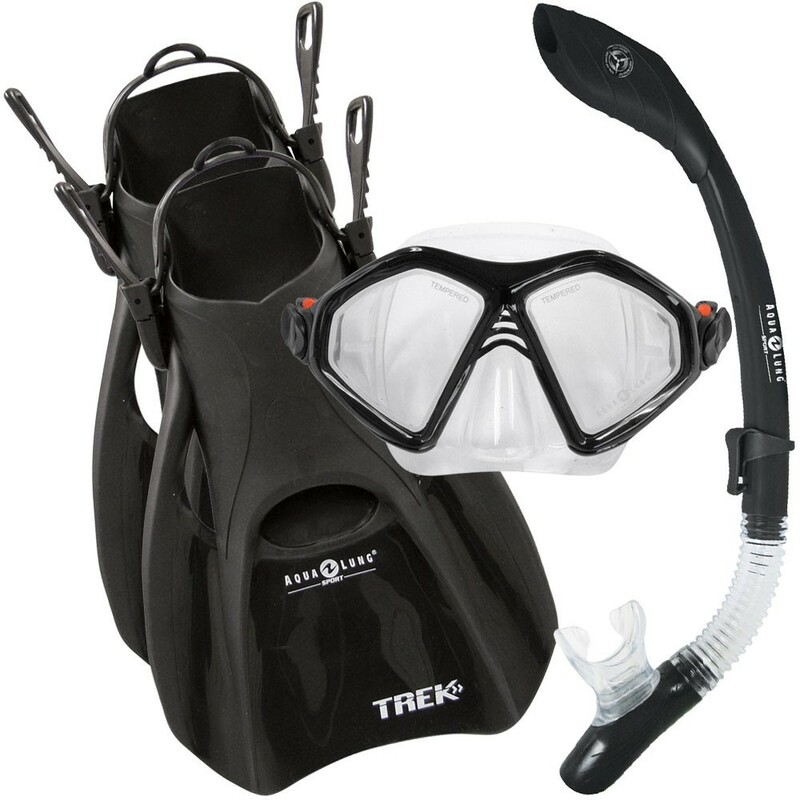 Enjoy the refreshing water with the Aqua Lung Trek Fin.